Rules are processed in order, from the top down. 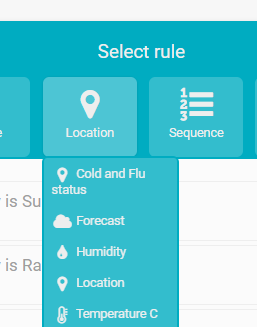 In an option block you can up to four rules that all have to be true for that element to be chosen. For example, in the image above, the rules are Day of Week, Weather and Impression. We process the option block from the top down and stop processing as soon as we find an element where all rules are true. 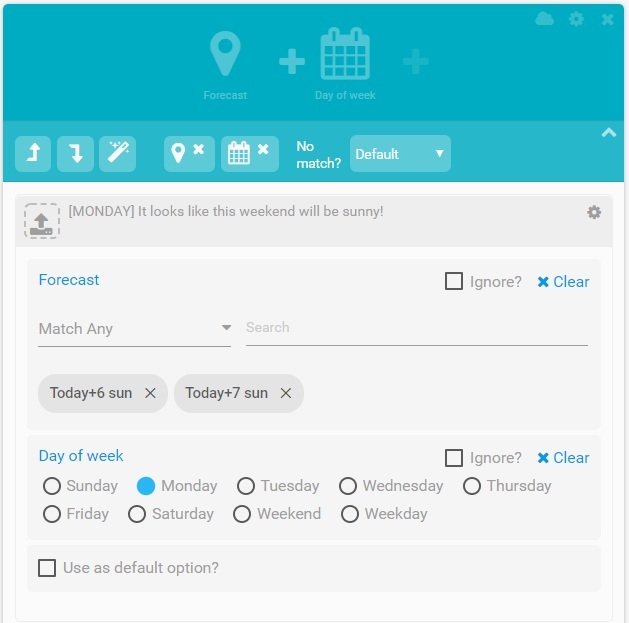 So, for the "Its another Monday morning" line to be chosen in the above example, Day of Week would need to equal Monday, Weather equal Cloud and Impression less than 2. If these rules are all true, then this line will be chosen and we will not continue down the list. If any of the rules are not true then we move on to the next element in the list ("Its a sunny Monday afternoon"). For numerical and date rules, this can have a neat outcome by using less than or greater than rules. If you have messages for listeners of different ages, then you can use the less than rule to always evaluate the first in the list. As the table below shows, for ages bands less than 18, less than 30, less than 50 and default, the yellow marker shows which message would be returned for different user ages. Where Age = 17, the rule is true, but we pick the first in the list, so the <18 message is returned. You may have time bound messages, for example over the Christmas period where you need different messages up to Christmas Day, then up to New Years Eve, then after 1 Jan. The table below shows how that would be evaluated, again, taking the first "Yes" in the list as the message returned. Ignore rules to reduce the number of options. Sometimes when writing a script you want to have a specific line for one option only but not the others. 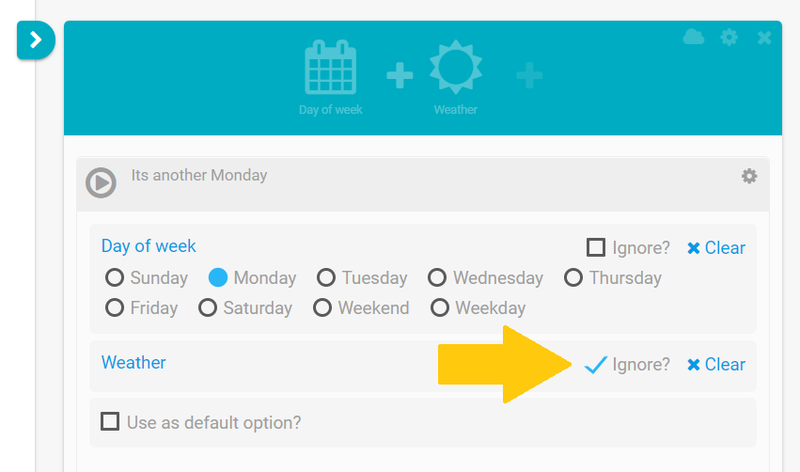 For example, if you have a line that changes by day part (morning, afternoon or evening) and you want to talk about the weather only in the morning line, the Ignore check box lets you avoid having to create lines for every possible combination. You could take this even further if you only wanted to call out a snowy morning and not mention the weather in any other morning line.